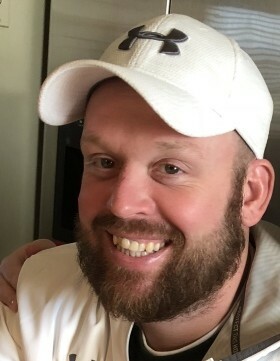 Charles Herbert Gibson, age 36, of Pataskala, Ohio, passed away on Sunday, February 10, 2019 at his residence. Charles was born March 24, 1982 to Charles and Beverly (Sprouse) Gibson in Columbus, OH. He enjoyed bowling, softball and basketball. Charles is survived by his loving children, Gabrielle Smith, Zyah Gibson; parents, Charles and Beverly Gibson; sister, Jennifer (Adam) Keyse; nephew, Kyle Keyse; grandmother, Patricia Gibson; many aunts, uncles and cousins. A visitation will be held on FRIDAY, February 15, 2019, from 5:00 PM to 8:00 PM at the PFEIFER FUNERAL HOME, where his service will follow on Saturday, at 11:00 AM with Paul Gregory officiating. Burial in Glen Rest Memorial Estate. Online condolences available at www.pfeiferfuneral.com.